Home » Blogs » 7GenGames » Your Substitute Teacher Worries Are Over! The holiday season is upon us and unfortunately so is the flu season, and the flu means one thing – substitute teachers. Most of the teachers we know dread missing a day of class. In a perfect world, teachers will leave an outline of their lesson plan for the days they are out. Of course, if this was a perfect world, you wouldn’t have the flu, now, would you? Teachers know that the school year isn’t long enough to begin with to adequately teach everything in the curriculum. Missing a day of teaching due to illness, while a substitute shows movies all day, only sets back the lesson plan. So, what do you do when it is near the end of the school day, you have a splitting headache and you know there is NO WAY you are going to make it in tomorrow? Write a lesson plan? Your fever is so high you can barely see the paper, much less focus on fractions! What if you ARE the substitute teacher and the teacher who woke up sick this morning didn’t leave a written lesson plan because she knew what she planned on doing this morning (and it sure as heck wasn’t laying in bed with the flu!). This is where 7generationgames.com comes to the rescue! Having access to our games and resources can remove unwanted stress of not leaving a lesson plan ready. Math: Students play Spirit Lake: The Game for 30 minutes. Language Arts: Write a paragraph summarizing one of the three videos that you watched on Native American culture. There you have it – Common Core aligned and cross-disciplinary. Could you do better in more than 10 minutes? Of course you could! If you happen to be that substitute teacher who was left without a lesson plan, our games and resources are available covering math and Native American history. We also have power point presentations and other helpful teaching tools available under our “teacher resources” section, organized by game for Spirit Lake and Fish Lake. The flu shouldn’t be the only reason to use our resources or games. Students can play our games or use our website in regular rotation, to help them improve their math skills. Best part is that the supplementary website is fun, educational, and free! We love to get feedback on our products and resources! Please feel free to leave us a comment (or e-mail us: info@7generationgames.com) letting us know how we have succeeded at helping your teaching goals or how we can improve. You never know, your feedback may be featured on future newsletters! 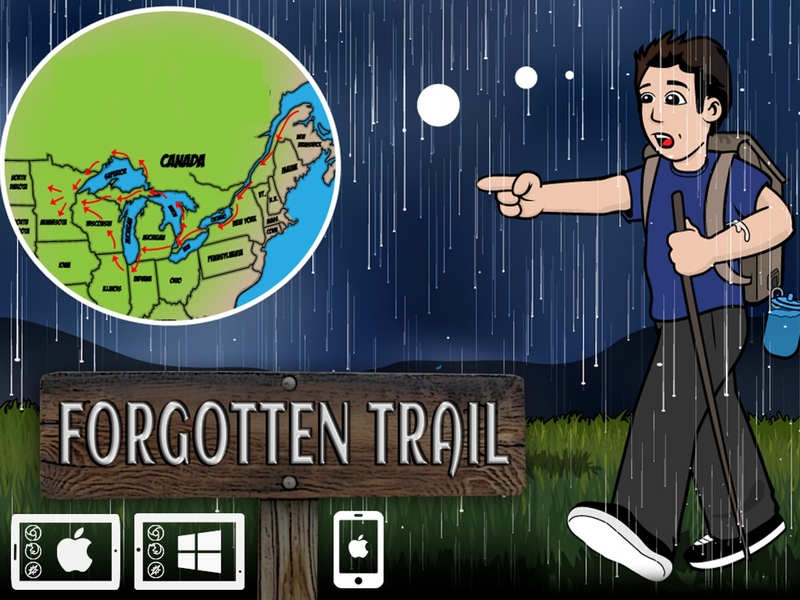 GET A FREE BETA VERSION OF FORGOTTEN TRAIL! Holiday shopping has begun and we’ve got the perfect gift for everyone on your list! Give a 7 Generation Games title this holiday season, choosing from any of our exciting and educational games right here. As a special offer, we’re also throwing in a FREE beta version of our newest game, Forgotten Trail, with every purchase or donation through the holiday season. The beta release is of the first five levels of Forgotten Trail. The game focuses on fractions and teaches about Ojibwe culture and modern, real-world applications of math. Make your way across the country. Navigate through mazes. Avoid skunks. Catch chickens. Watch a graphic novel come to life. See why math matters. Share and enjoy the gift of 7 Generation Games!